We have always tinkered with things; usually because things were broken and we needed to fix them - or badly designed and we couldn't afford a better one. But sometimes, we tinkered because there wasn't a better one. Sometimes, we had no choice but to come up with new ideas. One definition for the word expert is "a person who has made every mistake it is possible to make in a very narrow field". Well, we made about every mistake a person could make, learned from it, wrote it down, then filmed a video about it; and that's what you see on this website. Every chicken feeder we've ever used has wound up full of scratches, manure, and then been tipped over when chicken scrapping begins. So we came up with a great new way to feed chickens. 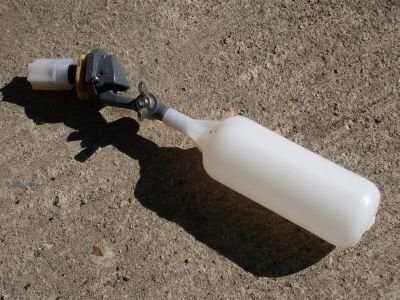 This is a very high quality nylon/stainless miniature float valve; it has a built-in bulkhead, will resist rust and can handle exposure to mild acids/alkalis/salts with flying colors. 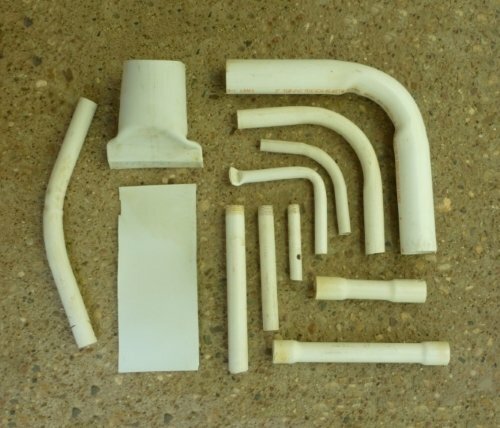 Never Buy A PVC Fitting Again! Don't have much space but want a garden? 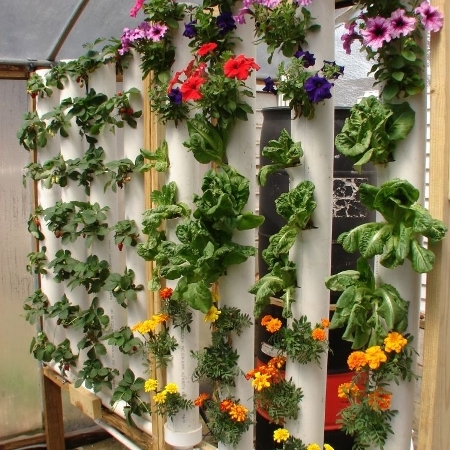 Here's a vertical gardening method that is easy to build, easy to maintain, and most of all affordable! Have your own hydroponic lettuce and herb garden, producing many times the volume of lettuce, greens and herbs your family can use—regardless of your family size! 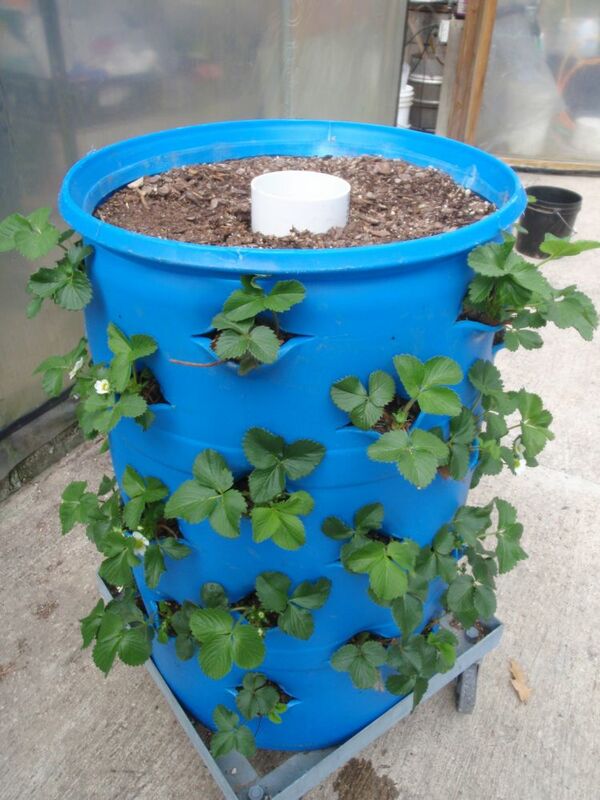 Want to grow organic strawberries and lettuce in a small space - without a spending a lot of money? You can't do better than our barrel garden! 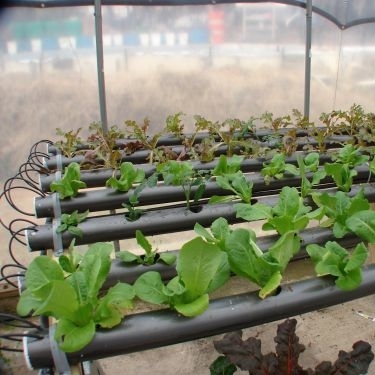 Build Your Own 3-D Barrel Organic Garden System! 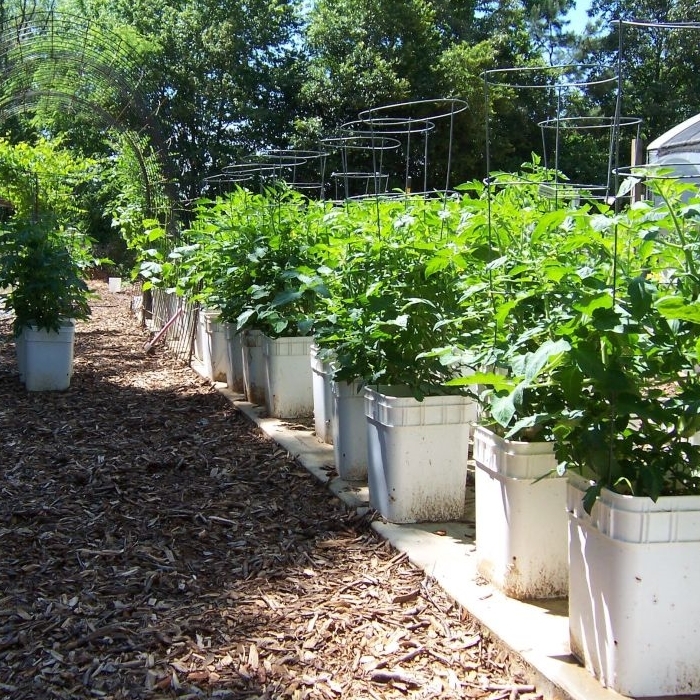 Our breakthrough self-watering garden system allows anyone with a small patio to grow anywhere from a handful of pots up to literally acres of them almost effortlessly. Thanks for the fantastic idea! ... I had originally started with some basil plants that did really well, but quickly overgrew the system to the point that water was backing up and coming out of the holes rather than trickling past and down the pipes - the roots were crazy! I bought your container garden CD and some others and I put it to the test. WOW! This is ABSOLUTELY THE BEST SYSTEM EVER! Six stars out of Five! Check out our How We Work page. For more information visit our How We Do Stuff page.